There are millions of different bright and colorful toys out there that you can buy for your baby. While some of these are great for enhancing development and providing hours of fun, the fact of the matter is they are expensive. Babies can pass through development milestones so quickly. What attracts their attention today can quickly bore tomorrow. If you brought new toys for every play experience and developmental need, then you would need to build another room on the house just to store them all. You can make homemade toys that will stimulate and excite your infant with items found around the home. All you need is to take into account your child’s interests and use a bit of imagination. It’s also great recycling! 1) Decorate old formula tins with pictures and clear contact paper. Inside, place some dry rice and pasta. Ensure lid is attached securely. As the tin is touched by the child it will roll forward enticing an infant to move forward to chase the tin and sound along. Colored rice (this can be made with food coloring and water in a cup, add uncooked rice, drain water and lay rice in trays in sunny spot to dry out completely). 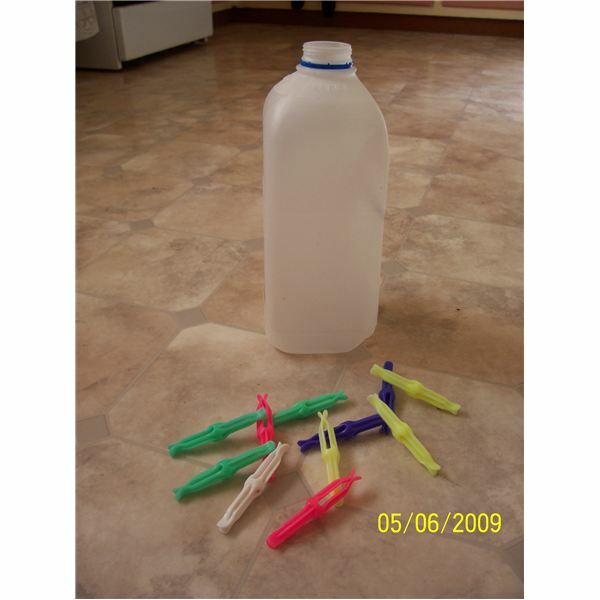 These filled plastic bottles encourage infants to grasp, lift, turn, shake and roll containers. 3) Try making a ramp out of a plank of wood or a similar item and show your baby how to roll items down along the plank. 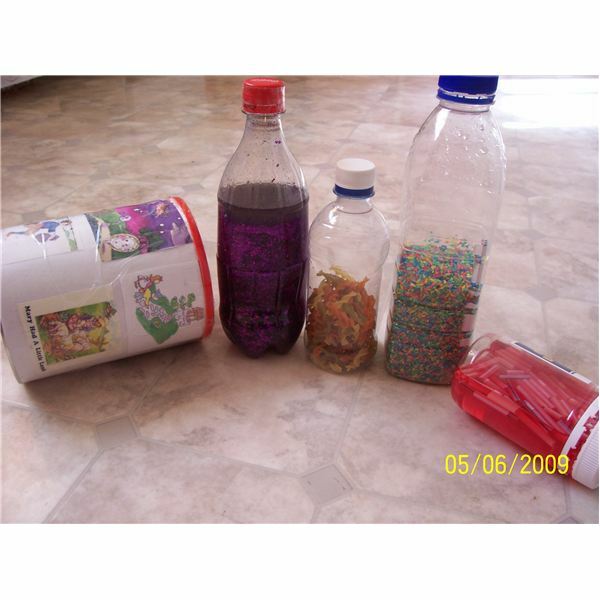 you could use the homemade bottles, balls or large cars are just some examples. Homemade lift the flap books can encourage fine motor skills and pincer grip as children lift the pieces on the page to view the images underneath. The most important thing to remember is safety when making homemade toys. Ensure all lids are securely glued and taped on as small objects may be a choking hazard. Have fun playing with these homemade toys with your baby. Model how to roll, manipulate, shake and use the toys and they will attempt to copy your actions. It is through practice that children learn to master their body movements and learn new skills! Photos and ideas are all provided by the author.